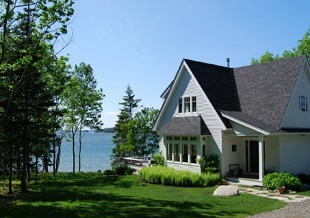 Eric A Chase Architecture is a five person architectural firm in South Brooksville, Maine with a mission to make real the structures envisioned by their clients and to ensure that the product is beautiful and practical. In an area that abounds with architects, they distinguish themselves by providing high quality, affordable design work and a broad range of architectural services that can be tailored to fit individual needs. Eric Chase is a good listener, and has built a firm that values client input as well as collaboration from others working on the project. As architects they have room for many points of view and believe that the challenge of their practice requires finding a balance between inspired design and practical applications for each client. 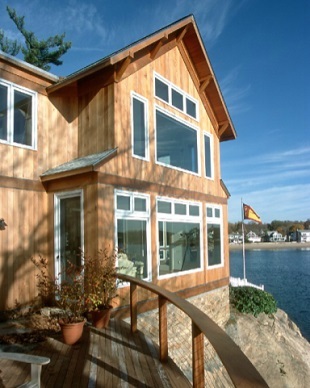 The Maine environment and the coastal climate require designs which relate to the landscape, views, and life cycle, while providing protection from the elements. Eric A. Chase Architecture will help you find the balance between aesthetics, function, cost and other competing priorities. Though much of their work is custom residential design, their project list includes a breadth of building types including, civic, religious, multi-family, educational, commercial, and historic restoration.